Are you busy planning a special occasion? Whether you’re planning a birthday or graduation celebration, a business event or another type of party, call King Keg first. 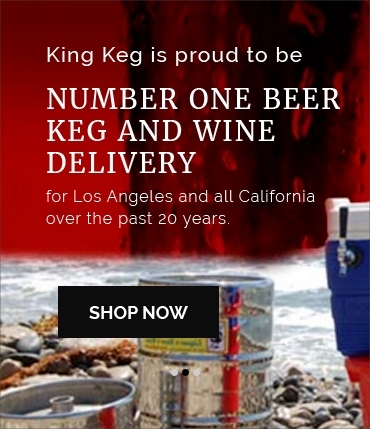 At King Keg, we’ll help make your party a success with Los Angeles beer delivery of your favorite draughts. We also offer keg equipment rental to make your bar station a smooth pour. You’ll recognize name brands that range from Coors and Budweiser to Modelo, Stella Artois, Guinness and more among our offerings. For those who want to discover new favorites, we have a healthy selection of unique tastes to try, including Mother Earth’s Cali Creamin’ Vanilla Cream Ale and Sierra Nevada’s Celebration Fresh Hop Ale. We make ordering easy with low-cost keg equipment rental packages that include taps, ice, CO2 and more. Browse our party packages, which have everything you need. We can also set up your serving station to help your bar service run smoothly. Contact us online or call us at 310-536-9414 for Los Angeles beer delivery to your door. All kegs can be ordered upon request. All kegs out of stock require a 4 day lead time.